This beautiful gown has been designed exclusively for Sapphire Butterfly. 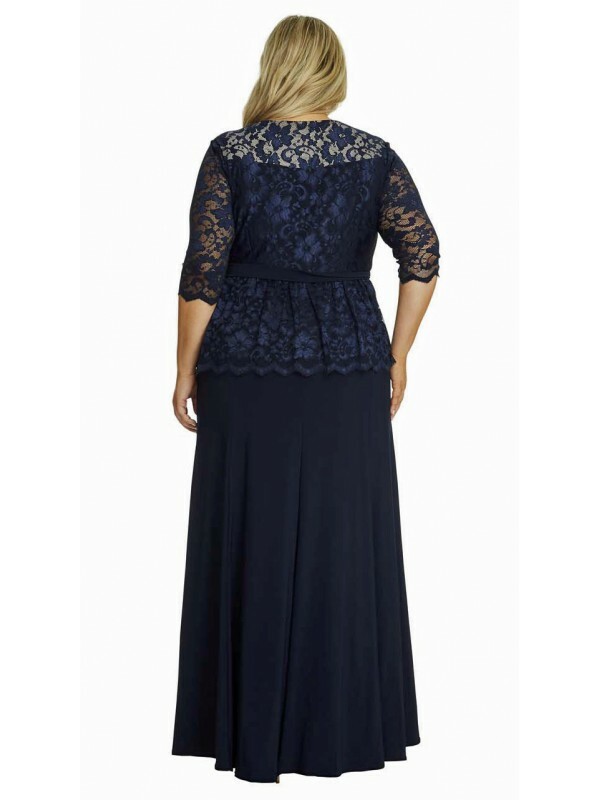 Available in Purple or Black, these gorgeous gowns feature 3/4 length sheer lace sleeves, peplum waist and flowing A line jersey skirt. Perfect for an elegant evening or special occasion.